Cutaway example of the Apollo personal life support system. This is a cutaway example of the upper portion of the personal life support system (OPS) worn by astronauts on the moon. The lower portion was the PLSS. 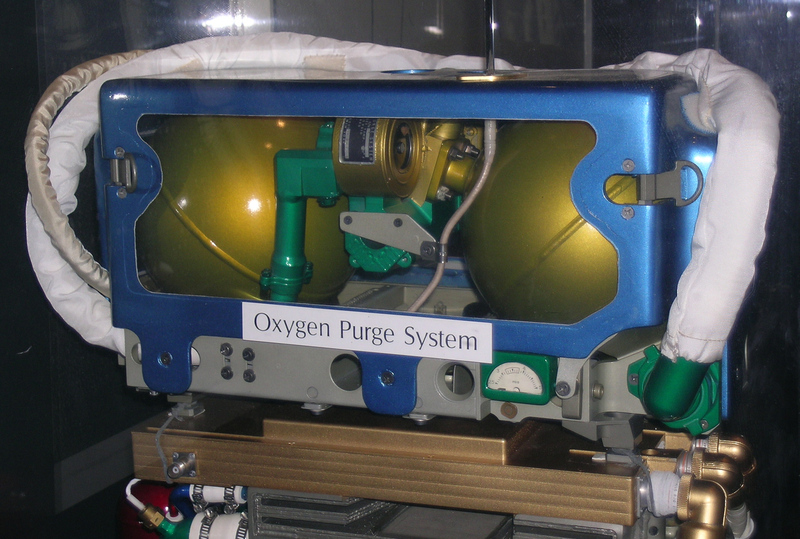 The OPS was used for oxygen storage and circulation. The components in this example are color-coded to show the interior components and how they worked and connected to each other.